Option 1 (Good Credit) - We use Synchrony Bank (previously GE Money). It's our own Credit Card, takes about 5 minutes to apply and will allow you some great options like up to 5 Years with no interest and no money down! You will have to call the Store at 281-579-1411 to apply for this one over the phone or come to the store. Synchrony Bank does not offer an online application. You can go here to read more and if you already have an account with us this will take you to a link to register and pay your bill online. Option 2 (OK Credit) - We are using Regional Finance Corporation for customers that may not qualify for GE Money but are working towards a better credit report with 6 to 12 months of previous good credit history. This company takes a look at your recent credit history (not just your your credit score) and makes a decision based on that history. 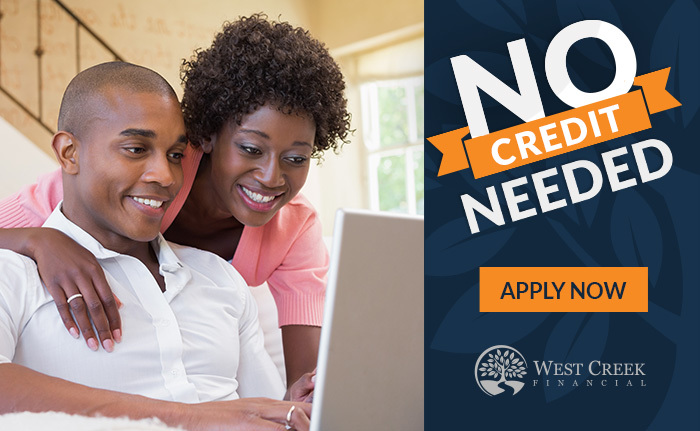 This is also a good option if you are young and have not established credit yet. Please call the store to have one of our finance personnel fill out the application or you can print out this application and fax it back to us at 713-583-1738. Click here to fill out the application. Option 3 (OK Credit) - The name of this company is Bristlecone Lending. The benefit of this one is they report to the credit bureau and have been very aggressive about loaning money. This is a good place to start if you are rebuilding your credit. Click on the links below to apply. Option 4 (Bad Credit-90 day Buyout Option OR Take up to 1 Year to pay) - We use several no credit needed finance companies for this option but Progressive Leasing offers a 90 day Buyout option that only costs you 10% of the lease amount and a $49.00 initial payment. The 10% fee is a convenience fee that is charged by Red Tag not Progressive. Progressive is a lease-to-own option and is a great for someone with bad credit but has a job for at least 6 months and a checking account for at least 90 days. Also, you cannot have any NSFs on your checking account in the last 30 days. You can however have overdrafts just not NSFs. If you aren't sure if you meet the above criteria, you can download our application here and email it to redtag4u@gmail.com or fax it to us at 713.583.1738. You can of course call us too at 281-440-1444. If you need a Bank Verification Form click here to download the ACH bank authorization form. Option 5 (Bad Credit-90 days same as cash OR Take up to 18 Months to pay) - This company is called Merchants Preferred and only requires 30 days of banking history as opposed to some of the others that require 90 days or even 6 months. There is a $40.00 Processing fee but NO DOWN PAYMENT with this company. Option 6 (Bad Credit-No Checking account, and You Just started your Job) -If you do not qualify for Option 5 or 6 but have a job or at least can show a consistent income then you qualify for Tempoe (formerly Why Not Lease It). You can click here to read more about this program. 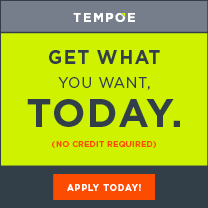 Tempoe is a great option for someone with Bad credit and has a limited down payment. For example if you borrow $1,000.00 your down payment will only be $150.00 plus tax and you will get your furniture or mattress immediately. Please call the store if you have more questions. Call 281-440-1444 for the 1960 Location or 281-579-1411 for the Katy Location.